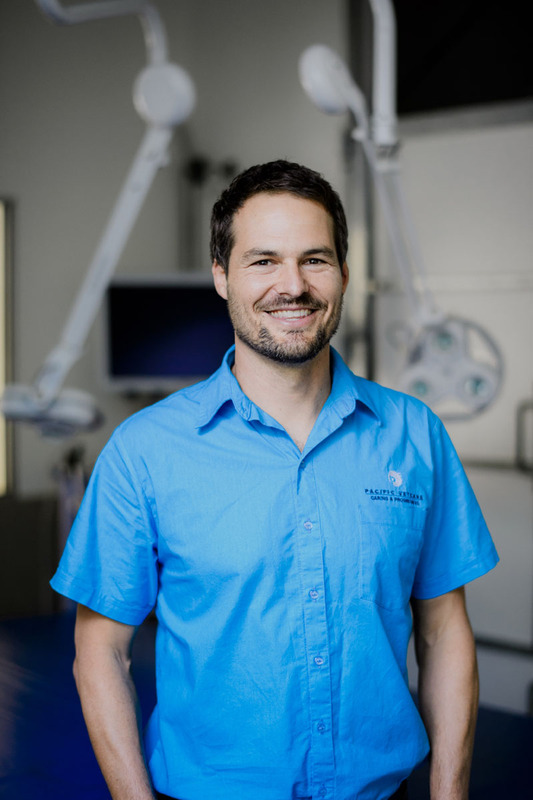 Graduated from University of Queensland with 1st Class honours in 1998 & also has a Graduate Certificate in Practice Management from Charles Sturt University, Joined Pacific Vetcare in 2006 and became a Practice Partner in 2007. Small Animal Surgery, both orthopaedics and soft tissue. Variety of general mixed animal practice cases seen in Coffs harbour. Achieving membership to the Australian and New Zealand college of Veterinary Science for Small Animal Surgery in 2006. Cattle Truck accident on Pacific Highway Coffs Harbour & providing veterinary assistance and help with approximate 60 head of cattle which were trapped. Assisting with the humpback whale stranded on Sawtell beach. Unusual Talent:- Can play the Trombone and Trumpet.